The Root Chakra, or Muladhara, is located at the base of the spine. The Root Chakra channels grounding energy from the earth to help us feel more connected, safe, and provided for. When our Root Chakra is out of alignment, we experience imbalances in our physical body and our sense of security is diminished. When balanced, we feel confident and have a better sense of belonging. Mountain Pose is a great posture for us to connect to earth energy through all four corners of our feet and invite that energy upward to feel nourished in our entire body. Our Sacral Chakra, or Svadisthana, is located in the pelvic area. This chakra is our playful creative center and home to our self-expression, emotions, and pleasure. An imbalance can make us feel sexually frustrated, emotionally repressed, and unable to find our passion in life. A balanced Sacral Chakra allows us to connect easily with others and find joy in everything. Revolved Triangle Pose stimulates the abdominal organs to promote the energy to circulate within our Sacral Chakra, and helps you remain grounded in the present moment. The Solar Plexus Chakra, or Manipura, connects us to solar energy to provide a sense of willpower, determination, and an internal heat within our belly. Located at the navel center, the Solar Plexus is the core of our identity, our personality, and our ego. If our Solar Plexus Chakra is unbalanced, we can experience low self-esteem and stress. When the Solar Plexus is balanced, we feel more confident and capable. 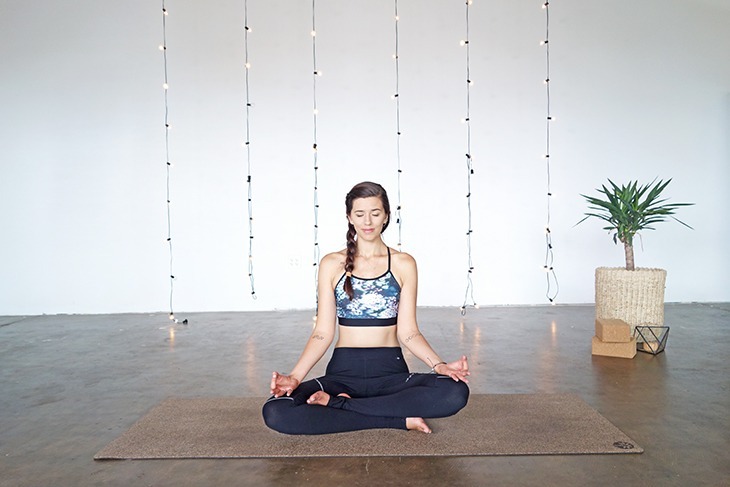 Since the Solar Plexus is located near the navel, Boat Pose is a great yoga pose to help activate your core and your internal fire to help align energy blocks or imbalances. A balanced Heart Chakra, or Anahata, enables us to feel compassion, generosity, respect, and a connection with others. To be fulfilled we need unconditional love, and the Heart Chakra is our gateway to allowing love into our lives. Keeping the Heart Chakra nourished allows us to remain capable of giving and receiving love, as well as developing our spirituality. If our Heart Chakra is imbalanced, we can lose our sense of connection with others and love for ourselves. Low Lunge invites our heart space to open to align our Heart Chakra energy. The Throat Chakra, or Vishuddha, is the energy that helps us speak and communicate authentically with ourselves and others. The Throat Chakra can have a large impact on our originality, speaking our truth, and even having the confidence to speak in public. When misaligned, we can experience ear, nose, and throat problems along with a block of creativity and our authentic voice. When balanced, we can easily express the creative and life-affirming aspects of ourselves with confidence. Chanting is a beautiful practice to open the the Throat Chakra and help keep the energy aligned. The Third Eye Chakra, or Ajna Chakra, is situated at the brow point and is known as our “all-seeing eye” as well as the point of our intuition. We can access clear thought and self-reflection through our Third Eye Chakra as well as inner guidance to help us on our life path. When our Third Eye Chakra is misaligned, we can experience confusion and physical symptoms such as headaches, migraines, and dizziness. When aligned, we see things clearly and without them being colored by our opinions, ego, or past. Dolphin Pose increases circulation to our face and our brain which, in turn, stimulates the Third Eye Chakra. The Crown Chakra, or Sahasrara, is our highest chakra and varies from the other chakras because is not a “wheel” or crossing point of the energies, but rather an opening. The Seventh Chakra is our center of trust, devotion, and inspiration, as well as the seat of our consciousness that connects us to the infinite and limitless. When the Crown Chakra is misaligned or overactive, you may experience a spiritual distrust, a sense of negativity about life, and a disconnectedness from your body and earthly matters. An aligned Crown Chakra brings peace, joy, serenity, and positivity to your life. Balanced Butterfly Pose invites concentration, peace and balance – perfect to align your Crown Chakra. Balancing and aligning your chakras may be the powerful tool you need to help with life’s struggles and pressure. Once you are able to recognize if you need more grounding, determination, or focus, you will be able to use your yoga practice and chakra knowledge to find a sense of balance and harmony in your life. Joanne MoulesJo specializes in teaching yoga to children with special needs and teens under 18. She also mentors and supports other like-minded goddesses to achieve their goals. When not teaching, coaching, or writing, you’ll find Jo at home with her son playing at amateur dramatics and eating Indian food.